Even a good life can use improvement. What do you think would make your life better? This quiz will reveal one simple adjustment that can change everything for the better. Your habits and lifestyle have a huge impact on your quality of life. These questions will help us find one change you can make to improve your life drastically. 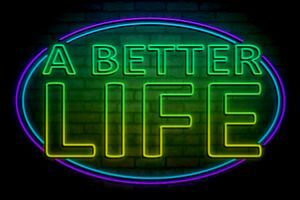 Would you like a better life? You can have it! Just answer the questions of this quick and easy quiz and you will receive a customized suggestion for improvement.